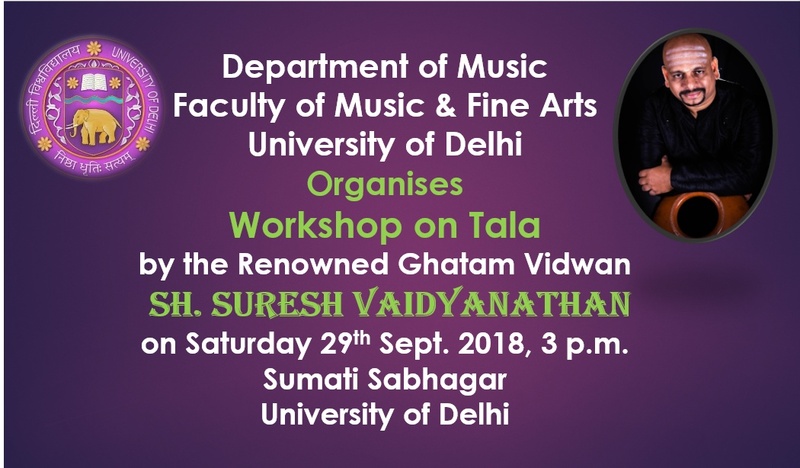 The Instruments Gallery (Museum) in the Department of Music, University of Delhi, was conceptualized with the idea of having a one of its kind and unique Instruments Gallery (Museum) housing musical instruments used in Indian Classical Music – both Hindustani and Karnatak Music. 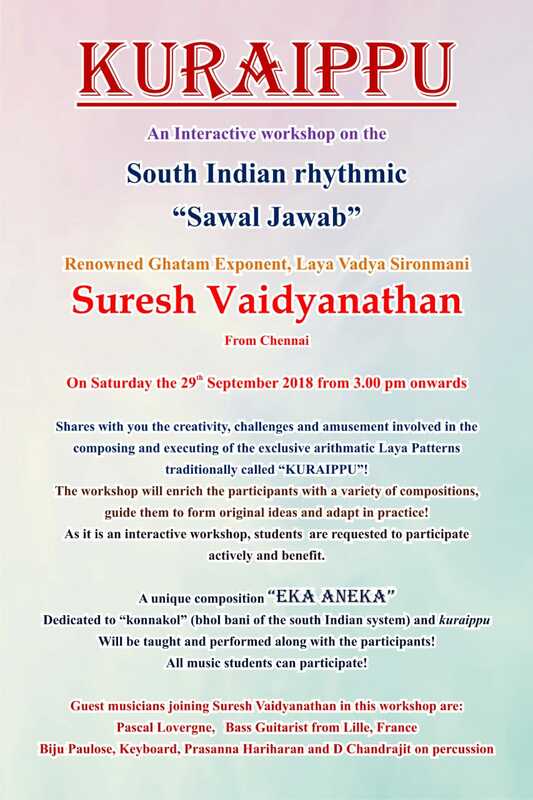 It was intended to be a valuable platform for both students and connoisseurs of music to observe, study and admire the beauty of these instruments. With these objectives in mind, the Department started the Instruments Gallery (Museum) in 2013. It houses primarily stringed and percussion instruments. 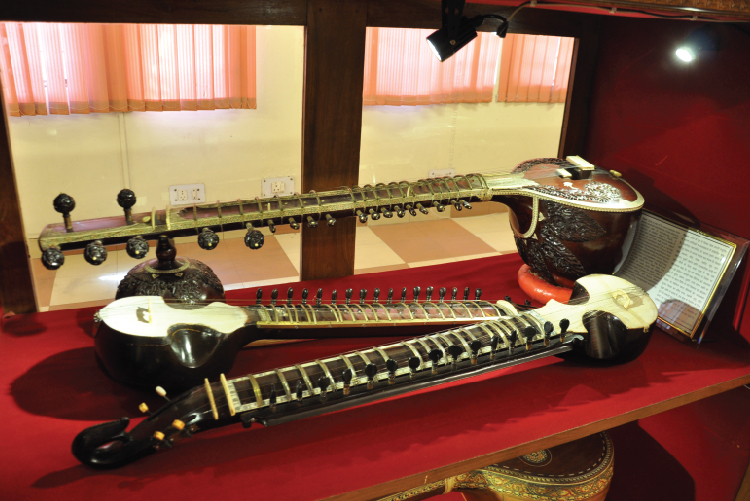 All these instruments are very old, mostly from our Department, while some have been gifted by others, such as the Dilruba and Esraj by Padma Vibhushan recipient Vidhushi Kapila Vatsyayan, whose mother used to play these two instruments. The Instruments Gallery (Museum) is regularly visited by research scholars and music lovers, apart from the students of the Department. 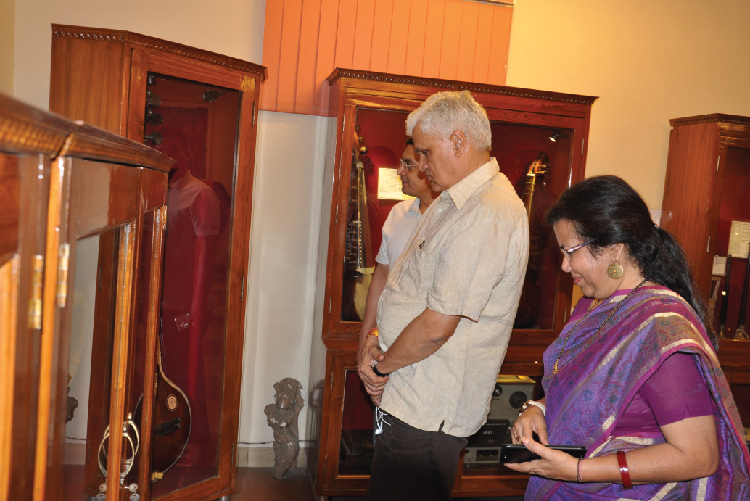 It is unique in the sense that it is perhaps the first Instruments Gallery (Museum) of Musical Instruments, that has been conceptualized and created by any University in India, and has an unrivalled and unparalleled collection of instruments displayed aesthetically. It is the pride of the Department, which takes good care in its day to day upkeep with the limited resources at hand.